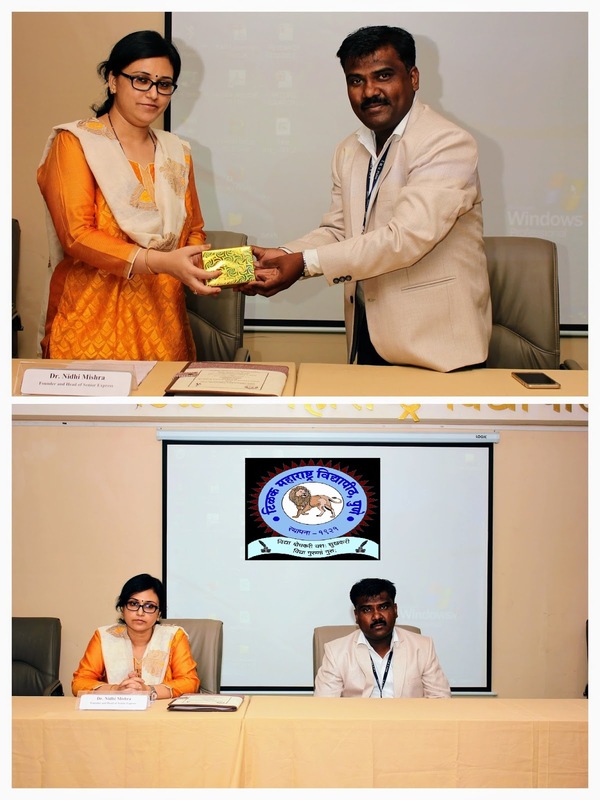 On 26th April 2018, Dr. Nidhi Mishra, Founder-Senior Express, was invited as a Chairperson for a technical session “Issues of Ageing Population: Gender, Health, Economic, Social” for a National Conference on “Ageing in India: Present Situation & Futuristic Perspective”, organized by the Department of Social Work, Tilak Maharashtra Vidyapeeth, Pune. There were total 5 paper presentations done in the technical session chaired by Dr. Nidhi which were ranging from psychological distress in geriatric population, family and health issues among the residents of old age homes, socio-economic problems of elders from rural areas, social media and senior citizens and geriatric issues from a nursing professional’s perspective. In the end of the session Dr. Nidhi summarized the session and gave her feedback on each and every presentation and suggested the presenters to focus on the methodology and implication of their respective studies for doing a need based research for seniors.